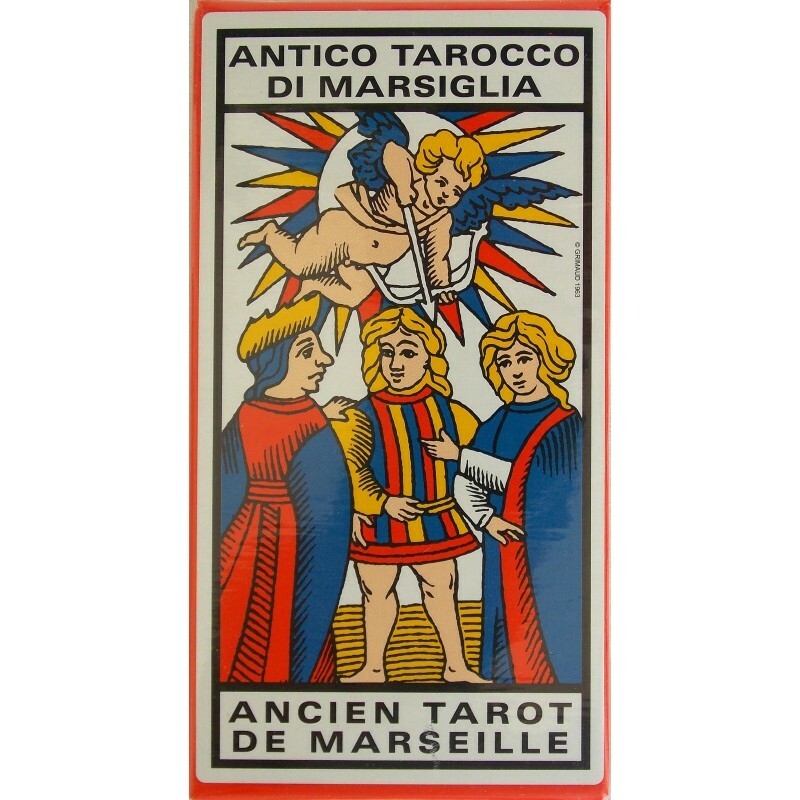 Ancient Tarot of Marseilles - Tarot Bulgaria ltd. 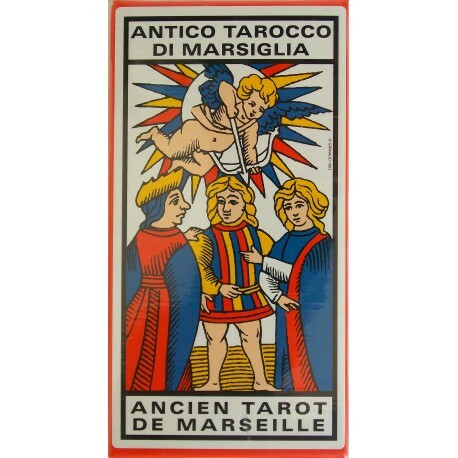 Ancient Tarot of Marseilles was published first in 1970 by the French company Grimaud. It has cleaned-up images of the original woodcuts printed in primary red, yellow and blues.